Posted 9 April 2019 at 2:07 pm. Here’s an etymological factoid I’ve just learned and which is now distracting me from properly writing this article. The words ‘spectacle’ and ‘spectre’ both derive from the same Latin root: spect, which means ‘to witness.’ It’s the contrasting connotations of these two words, spectacle and spectre, that I’m puzzling over: one meaning something visible and full of life, the other meaning just the opposite. Not exactly a profound paradox, but I suppose almost anything but the task at hand seems interesting when one is procrastinating. What I’m self-assigned to accomplish with this article is promoting our annual gala, Heartstrings. It takes place in the opulent 7th-floor ballrooms at The Fort Garry Hotel, a hotel known to host its share of spectres and spectacles; famous hauntings and famous parties. If a spectrum existed in which spectres and spectacles were at extreme ends, where would Heartstrings fall? Consider the event description: “Guests will be treated to outstanding entertainment, an elegant dining experience, and lively conversations and auction sessions.” A spectacle then, in the better sense of the term. 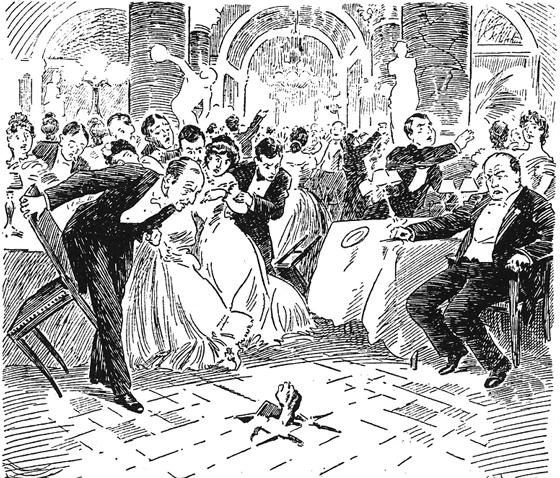 But the event has also been known, like the Ghost of Room 202, to haunt The Fort Garry Hotel for decades. For the volunteers and staff who work so hard at organizing Heartstrings, it may also be associated with feelings of haunting in the feverish weeks leading up to the gala: nightmares of marketing managers once again forgetting to print the program, auction paddles going missing, and so on. This is honestly what I was thinking about as I avoided working on this article. I also got to thinking about some of the other interesting events to which Fort Garry has been witness. Louis Armstrong and Liberace are among its famous guests, but their Fort Garry sojourn is considerably less momentous than Louis Riel’s, when he seized the former trading post during the Red River Rebellion. In 1919, guests of the recently constructed hotel may have been spectators to another significant political event: the Winnipeg General Strike. In 1848, Karl Marx declared that a “spectre is haunting Europe—the spectre of communism.” It wasn’t however until the revolutionary period immediately after the First World War that for millions of Europeans communism became a nightmarish reality or a dreamy one, depending on one’s perspective and class. The politics of the 1919 General Strike’s participants were complex and cannot be reduced to one ideological persuasion. Although for the scared men, such as my great-grandfather, who organized the violent counter-strikes of the “Citizens Committee of One Thousand,” it was the strike’s fearful spectre of Bolshevism that gave their pamphleteering and speeches rhetorical punch. When the cavalry, likely in a deliberate display of force, exercised up and down Broadway about a week before the mayhem and riots of Bloody Saturday, it must have seemed quite a spectacle to hotel guests watching from their windows. Especially with the Strike’s 100-year anniversary this year making everyone think about its legacy and meaning today, I’m considering it another event occupying an ambiguous place on my funny spectacle-spectre spectrum; a half-manifested revolution whose spirit still haunts us. Shall I get back to Heartstrings? In what seems like a clever nod to the hotel’s infamously haunted room 202, our event organizers have selected the phantasmagorical A Midsummer Night’s Dream as this year’s theme. Contrary to rumours, I will not attend the gala dressed as man-boy fairy Puck, but there will be a photo booth in which guests may don a beautiful wooden Donkey bust (donated by RMTC) and re-enact moments from the play. This only scratches the surface of the evening’s entertainments and treats, which also includes live music, theatrical auctioneers, projections of the Max Reinhardt’s 1935 film adaptation of MSD, and a lotta fancy food. I always enjoy myself at Heartstrings, as somewhat of a spectator, knowing that the funds raised not only help the orchestra, but also vitally support the outreach concerts, workshops and concerts the MCO’s Fiddlers on the Loose deliver to students and communities through the Frontier School Division and Manitoba’s north. It should be a spect-acular evening.